I really don't make it a habit to write about music videos. This is officially only my second Music Video Review in the time that I've been doing this and even though every time I feel all like "Let me watch these videos and write about them!" I never really do. The things just never get off the ground for some reason. But now, while watching BRIELLE's "Ought To Be", I've found out why. You cannot put links to music videos in files marked "to review eventually". A music video, as was once on Mtv, is meant to immediately grab you and draw you in. Have you ever heard a song on the radio and thought, "I'm not sure how I feel about this, but I'll go back later and give it a good listen so I can form an opinion"? Of course not. Songs on the radio are songs you will either strongly like or strongly dislike and that is why they are on the radio. Music videos should be the same way. Right away this feels like the party you want to be at. I've watched this twenty times over just because she mentions gypsies (And yes, that is a good way to get me to listen to your music/watch your music video/paint your shed/whatever) and then I found the lyric version of it so I could actually see the word come up on the screen. 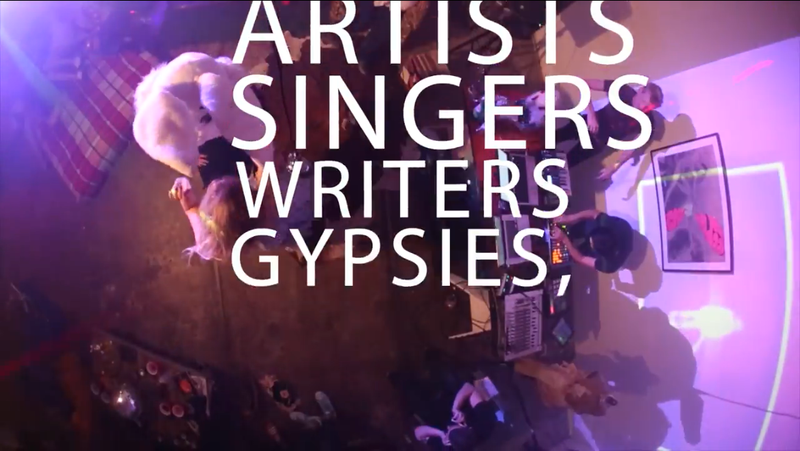 But the first time I watched this video, that thought of "Did she just say 'gypsies' there?"... It's something you can't fake. "Ought To Be" is this faster paced pop rock song (or is it rock pop?) that has a Kimbra feel to it combined with artists I don't recall by name because I don't like them (I'm looking at you, Ms. I Sing The Theme To Orange Is The New Black) It just works in all the right ways and none of the things that I like about those other artists comes out. Like I said: this video makes you see that this is the party you want to be at and, yes, even if I heard this song on the radio or was sent a SoundCloud link to it, I'd still be as excited about it. While there are a lot of reasons why someone would click a link in an email and open a music video, then watch/listen to it for me it simply came down to the attached press photo, which I have included below to convey my point. In this photo, I like the way that BRIELLE is dressed. She has a modern Cyndi Lauper thing going on for her. I don't know how her music will sound, but based upon this, I take a chance and click a link. I've taken this chance before. I've clicked many links. I'm just happy that this time it brought me to such a wonderful video and I do look forward to listening to so much of BRIELLE's music for a long time to come.